She was 24-years-old, in hypothermic cardiac arrest with immediate bystander CPR. But no ambulance was coming. No ambulance – not even an air ambulance – was capable of responding to this terrain. At the upcoming ZOLL SUMMIT in Denver, I’ll discuss how the ultimate chain of survival story sparked the idea of creating a hoist-capable, helicopter-based, prehospital retrieval medicine (PHARM) service in the mountains of Western Canada. Is a patient viable after 4 hours of CPR in sub-freezing conditions? Do you have the tools to salvage this patient? Can an advanced life support or critical care provider respond in rugged mountains or remote worksites? What treatment options and transport choices can make a difference for this patient? Who were the bystanders that made the tough choices for this patient with little or no training? What were the decisions those bystanders made for this patient in the 2 hours it took for help to arrive? What does it take to accidentally shut down an international airport? Who was “Squamish’s Sexiest Man Alive 1982” and what does he have to do with this story? And most importantly, what would McGyver do? This incredible rescue made a small group of us realize that we needed to fill a gap in prehospital care in Canada. We decided we had to build a program to do just that. But not before asking: What will a PHARM service change for patient outcomes in the remote and austere settings in the mountains of Canada? And what are the financial implications? I am an Advanced Life Support Paramedic with 21 years of experience, 28 years of Search and Rescue experience and 15 years of experience as a pro ski patroller in North America’s number one ski resort. In my career, I’ve been hoisted, longlined, jumped out of helicopters, hiked, skied, swam, rappelled, dove and climbed to get to a patient’s side. My professional passion is focused on improving austere medicine in the mountain setting. AKA: Providing Good Medicine, In Bad Places. 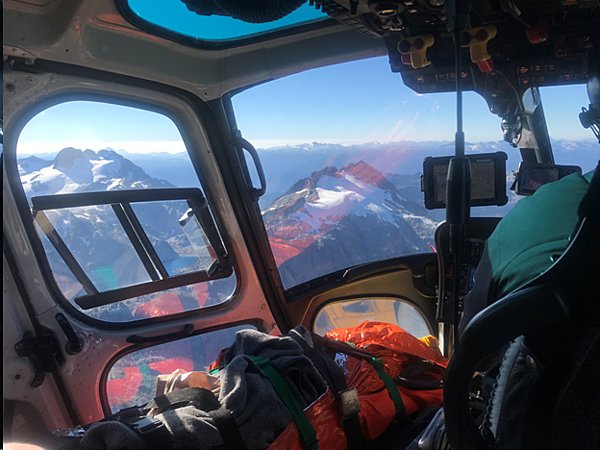 In Canada, HEMS has traditionally been provided by ambulance services that do not offer the technical capability to provide service in remote or austere settings. This means limited ability to access patients in remote settings. In the province of British Columbia, we are faced with rugged, mountainous terrain throughout the bulk of our province. Many communities, worksites and recreation areas are unreachable by traditional ambulance response modalities. Loggers, energy sector workers, miners, BASE jumpers, adventure sport guides, adventure filmmakers and so many others have to find their own way to medical care. In countless numbers of these cases, first aid attendants bring the patient to the air ambulance, which can take hours, with only basic patient care. And in SAR settings, medical response can vary depending on the teams involved. Some can provide advanced life support care at times and others can provide basic first aid. The ability to provide dedicated advanced life support/critical care in remote settings can translate to dramatically improved outcomes, and substantially reduced costs. PHARM brings the emergency room to the logging site or the mountain top. A recent mission for an injured logger reduced transport time by 6.5 hours and so dramatically minimized injury severity that the savings to the health care system was $9,000,000. The HIRT Trial out of Australia showed a $4,375,000 net savings per patient with traumatic brain injuries with a PHARM program. The need for this type of program is huge with multiple cases annually that result in injury aggravation, and fatalities. In February of 2017, a journey began to build Canada’s first PHARM service, Technical Evacuation Advanced Aeromedical (TEAAM). We brought retired SARTechs (the Canadian version of PJ’s), experienced SAR paramedics, emergency and critical care nurses, anesthesiologists and intensive care physicians onto our staff. The seven members of our TEAAM are all accomplished in their own right and extremely passionate about our mission. Our strength is in the width and depth of expertise among us, and the level of experience and reputation in the field many of our colleagues have is humbling. But most importantly, we are a family. We have to be a tight group to trust each other on the line. 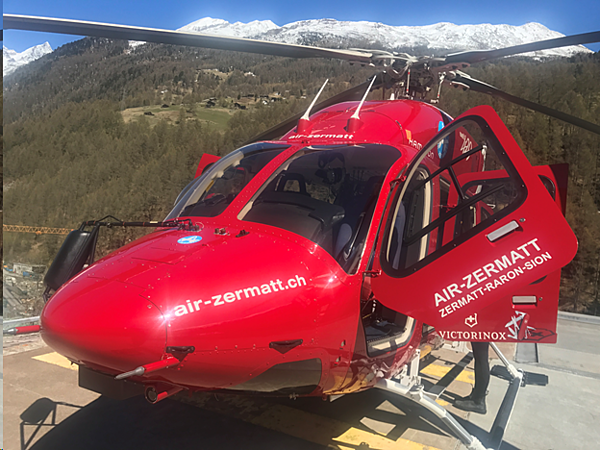 Together, we travelled to Air Zermatt, Air Glacieres and REGA in Switzerland to learn from the best. 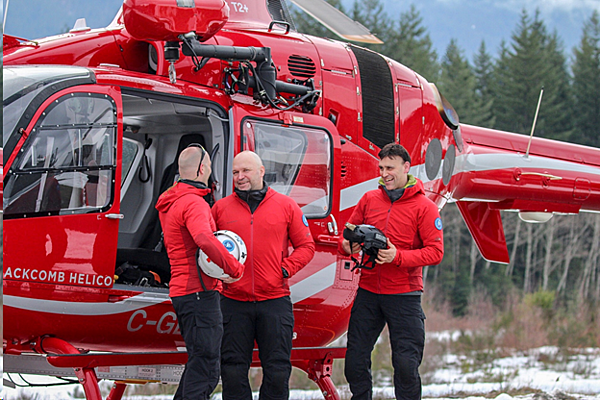 We visited Snohomish County Helicopter Rescue in Washington State, and reached out to Travis County STAR Flight in Texas to glean their valuable knowledge and experience. And we had experienced PHARM personnel from Australia come to our program to help us build a streamlined, well rounded and cutting-edge program. 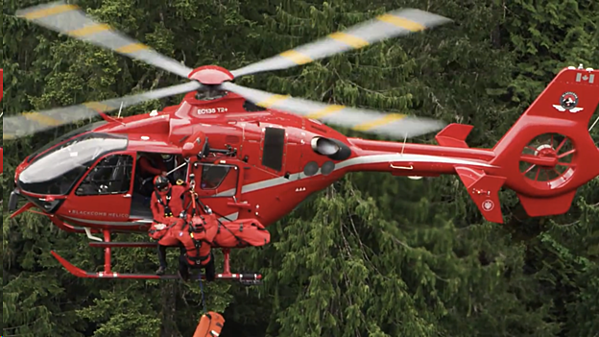 We collaborated with Blackcomb Helicopters, one of Canadas largest, most experienced mountain helicopter companies. We built relationships with charities and local relevant industries. British Columbia’s forest industry and renewable energy industry saw the incredible benefits of our program and jumped on board to support the TEAAM. ZOLL, Clarius Mobile Health, Holmatro, Helly Hansen, TB Vets, Petzl, Mustang, Milwaukee Tools and others provided either sponsorship or incredible support. We trained the paramedics, nurses and doctors of our TEAAM medical aircrew in helicopter hoist rescue, helicopter long line rescue, crash survival, auto extrication (with the Jaws of Life), swift water rescue, mountain skills, avalanche rescue, and more. We brought some of Whistler and Squamish’s best IFMGA/ACMG mountain guides on board to ensure the best possible mountain training and safety. We fundraised for the best possible equipment, including ZOLL X Series Monitors, Autopulse, and Z Vent. And on October 19, 2019, we launched our first mission. How did the first mission roll out? Did the TEAAM program work? What were the successes and learning points? And how did that 24-year-old woman in hypothermic cardiac arrest make out? Well, you’ll have to “Get To The Choppa” and sit in on my presentation in Denver.